The flat entry-rocker provides speed right from the takeoff. 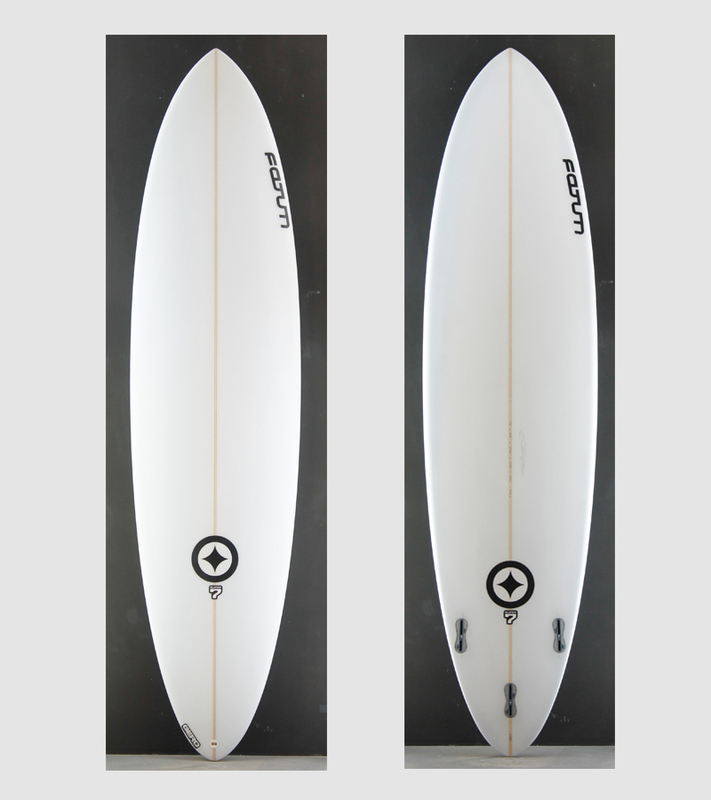 The concave under your front foot gives you the crispy feeling of a shortboard and the round tail in combination with the spiral vee bottom contour make the board easy to control even if the wall might get a little steeper. The fin position is moved a bit forward and it should be ridden with slightly larger fins.